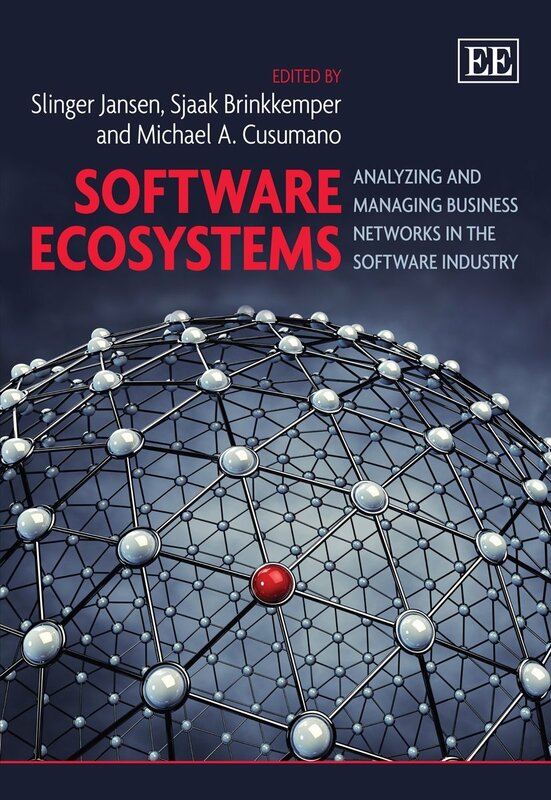 My research (my publications) is directed at strategies of software producing organizations to manage their software ecosystems. Quick Bio: Slinger Jansen is an assistant professor at the Department of Information and Computer Science at Utrecht University. He is one of the leading researchers in the domain of software ecosystems and co-founders of the International Conference on Software Business and International Workshop on Software Ecosystems. He is lead editor of the book “Software Ecosystems: Analyzing and Managing Business Networks in the Software Industry” and of several others. Besides his academic endeavors he actively supports new enterprises and sits on the boards of advisors of several start-ups. The book on ecosystems can be purchased here.